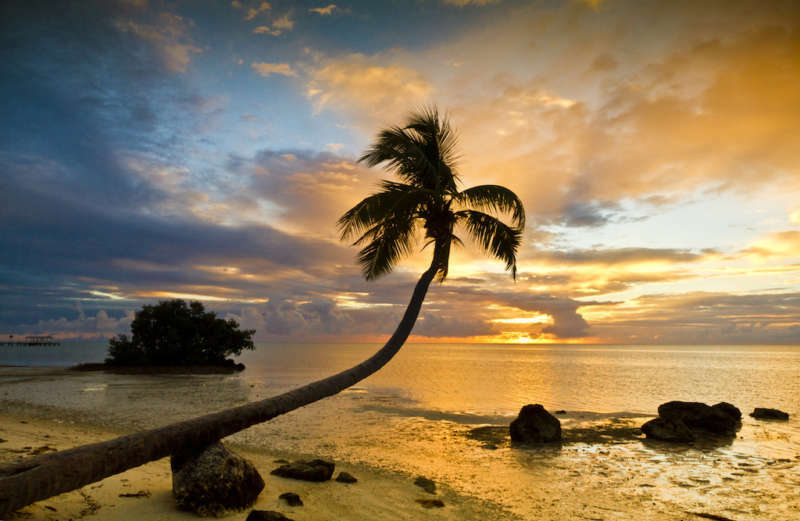 If you need to get away from the daily grind, gay Key West is an excellent option. Located on the southernmost tip of the continental United States, this Florida city has been a beacon to gay men for years. Extraordinarily inclusive and tolerant, Key West is a haven for the LGBTQ community. The gay population in this city reminds us of Palm Springs. But at peak travel season, the town fills with a diverse crowd of guys in teeny-tiny speedos. Key West is only about seven-and-a-quarter square miles big. Even though it’s so small, Key West International Airport, about ten minutes away from downtown, brings in commercial flights from many of the biggest airlines. If you don’t want to fly, you can always drive. Just cruise down U.S. Route 1 South (also known as the Overseas Highway), and enjoy the beautiful scenery. If you’re coming from Miami, it’ll take you about three hours, and four hours from Fort Lauderdale. 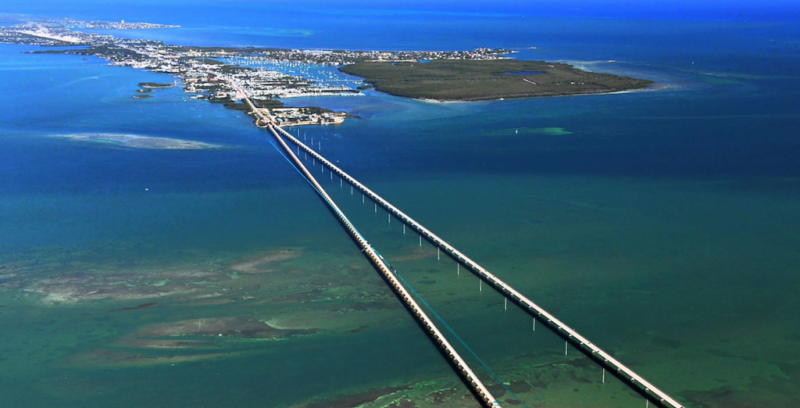 There are over forty-two bridges connecting Key West to the mainland. The Overseas Highway is one of the most beautiful drives in the country. Completed in 1938, this highway connects a string of keys and coral rock with 113 miles of concrete roadway. The Seven Mile Bridge along the way is the longest and most scenic drive here. The Atlantic Ocean and Gulf of Mexico meet here. Key West is also home to the largest coral reef in the world. It extends 150 miles north towards Miami and 70 miles west to the Dry Tortugas. Even though Key West only has a population of 25,000, famous writers from Tennessee Williams to Ernest Hemingway all called this island home. And not just writers make their home here; ghosts apparently do too. There are also many haunted stories throughout the island, from Robert the Doll to the Key West Cemetery. The Ghosts & Gravestones tour is the best way to learn about the haunted Key West and its history. 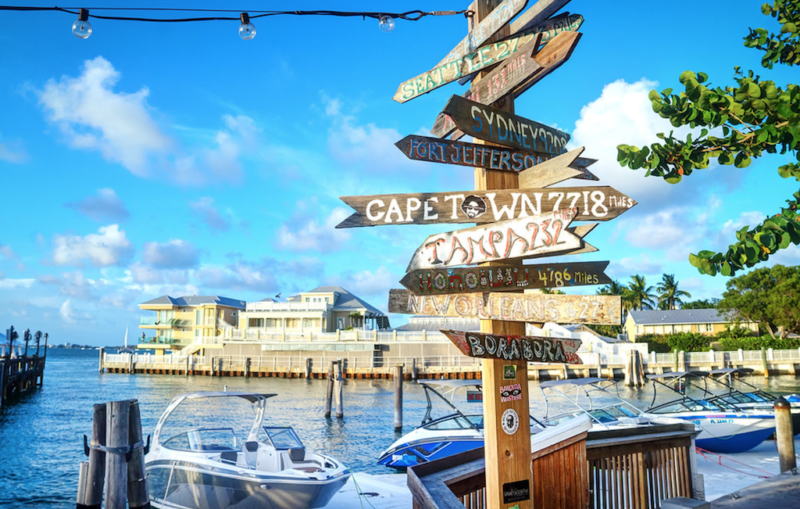 Key West is only about eight miles square, but there is still plenty of outdoor activities to do. Across from the Key West lighthouse, sits the Hemingway Home and Museum. 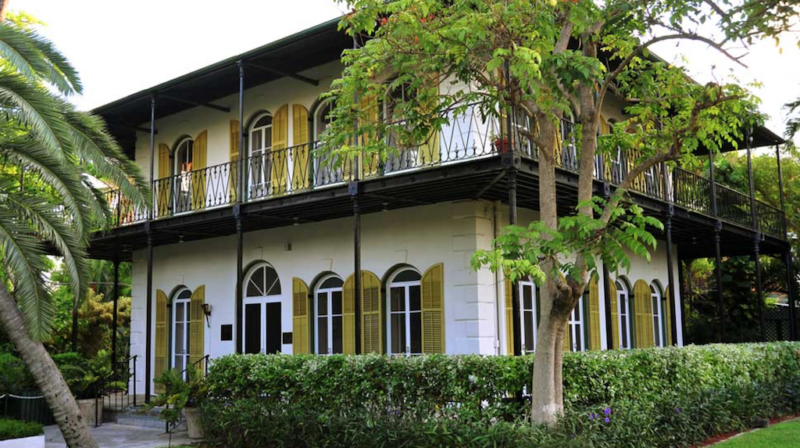 Visitors can tour the house and experience first-hand where Hemingway spent much of his time. It’s also home to a number of polydactyl cats, also known as Hemingway cats due to the author’s love of the extra-toed critters. Mallory Square, the waterfront square full of local restaurants and shops, is the best spot to watch the sunset. Duval Street, a downtown commercial area only 1.25 miles in length, is another busy spot for great food and souvenirs. Zachary Taylor Historic State Park is a national landmark with history dating back to 1866. This beautiful park is adjacent to the beach, with picnic areas and places for hiking and biking. And, of course you can go snorkeling or fish in the ocean. Gay Key West has always been a progressive town and there are several LGBTQ-friendly business here. Island House, the island’s clothing-optional resort, is the center of gay Key West. This resort has everything from restaurants to bars, plus an adult video lounge for discreet fun. For a more traditional drinking setting, head over to Bourbon Street Bar. 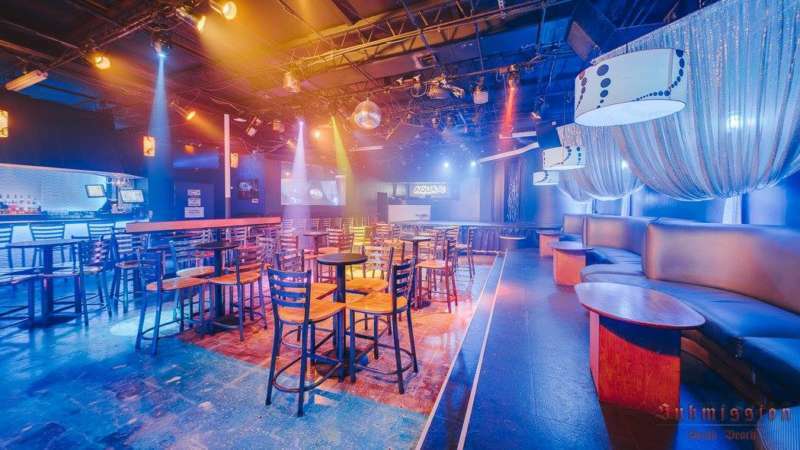 This bar also hosts many huge events, from a New Year’s Eve party to the Naked Mask Ball, where guys roam around sans clothing. Can’t get enough of drag shows? The ladies from Aqua Key West entertain seven days a week with their high-octane performances. If you prefer something low-key, Bobby’s Monkey is a relaxing environment perfect for mingling. This dive bar also hosts different theme nights — we recommend singing your heart out at karaoke night. 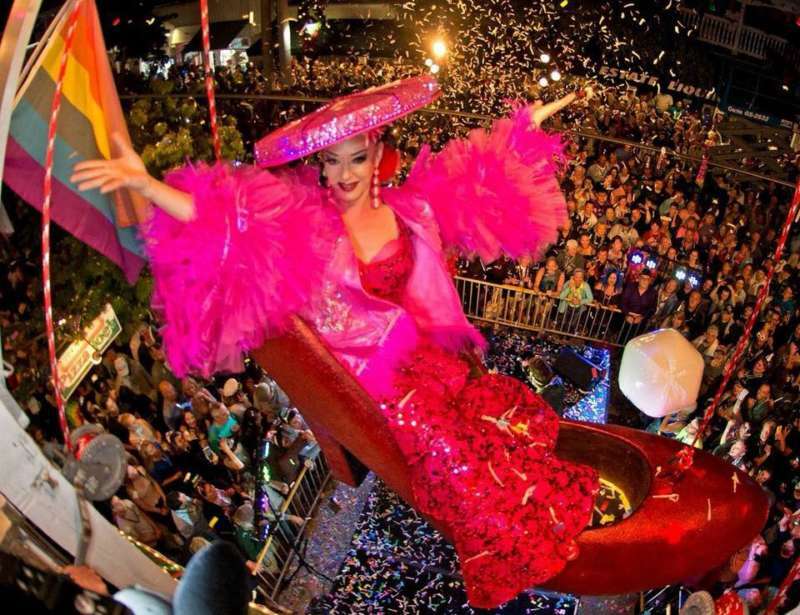 Finally, if you are visiting Key West in June, you won’t want to miss the Pride celebration. Key West Pride always attracts a massive crowd; this year was no exception. Key West Pride 2018 had a Pride Follies stage show recognizing “the best (and sometimes the worst)” local performers, plus its five-day celebration included a kickoff pool party at Island House with an open Stoli vodka bar. 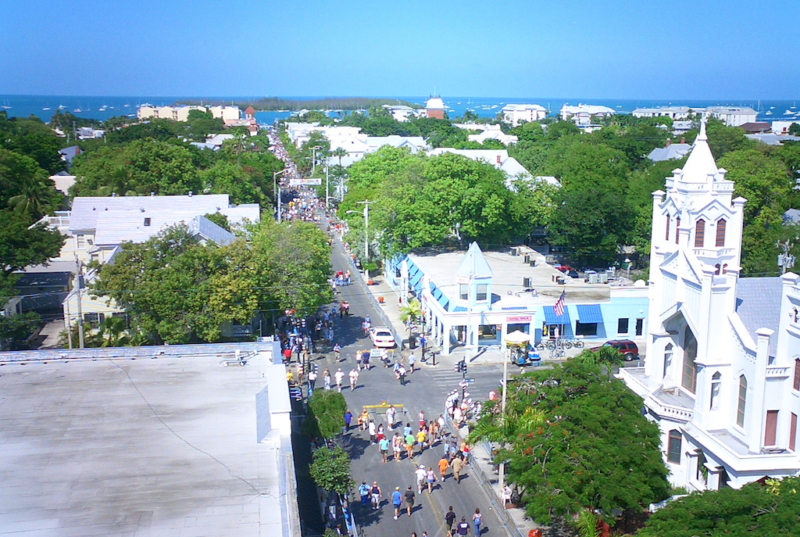 Are you ready to explore gay Key West?